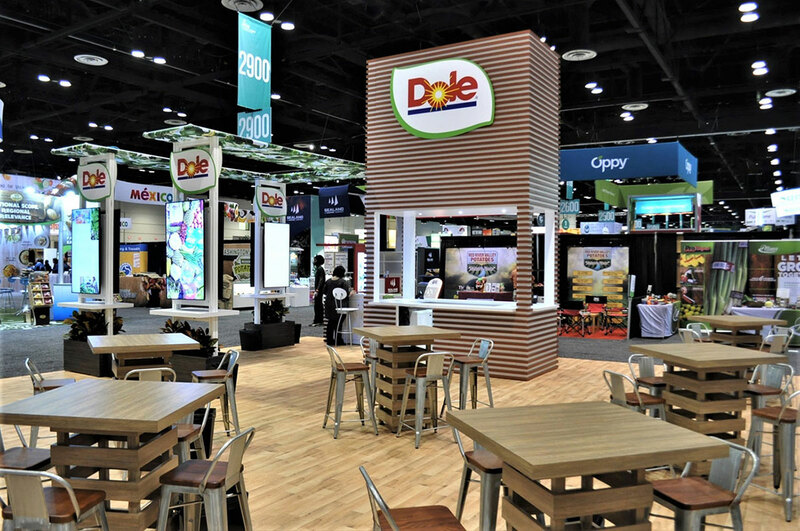 A well-known brand like DOLE requires careful consideration and strategy when designing a new tradeshow exhibit. 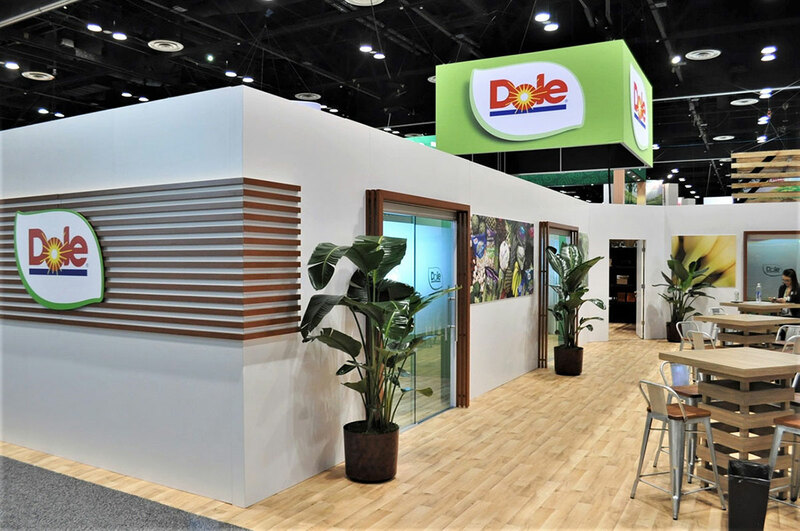 The architecture had to support the highly recognizable brand and deliver a functional space without looking trendy. 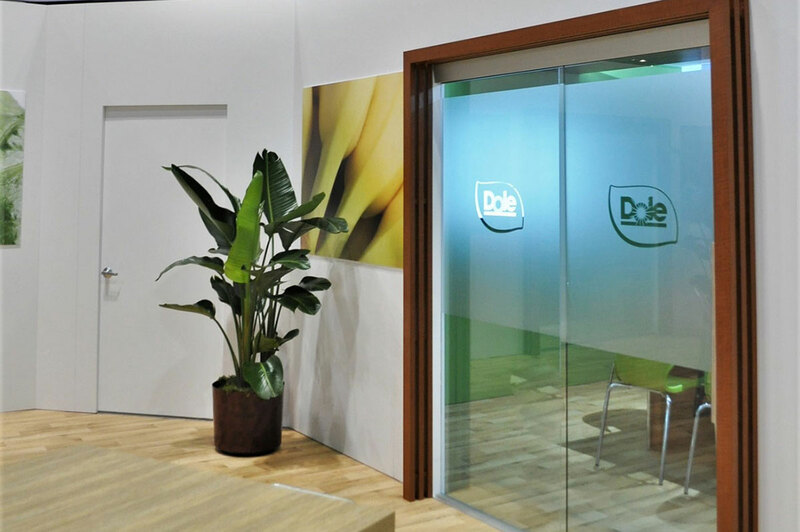 Branded Area designed and delivered a workable and contemporary environment that updated Dole’s look while high-lighting the trusted brand and its heritage. 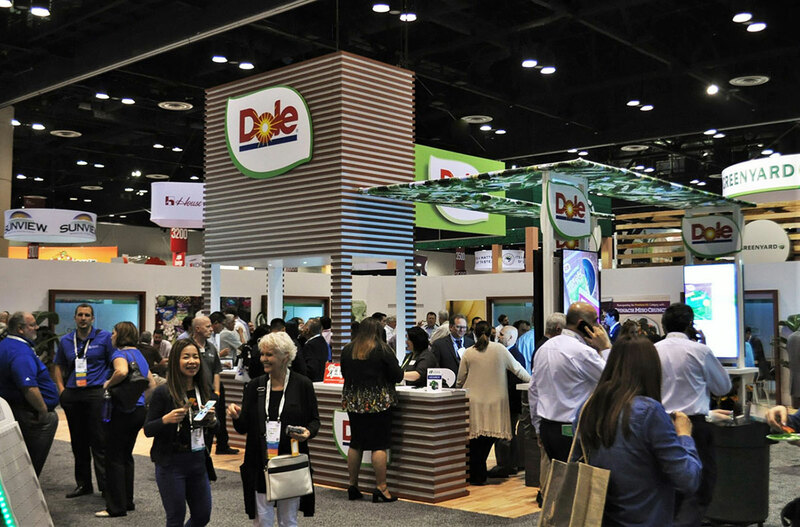 The 50’ x 50’ space included four executive conference rooms for private meetings scheduled during the show. 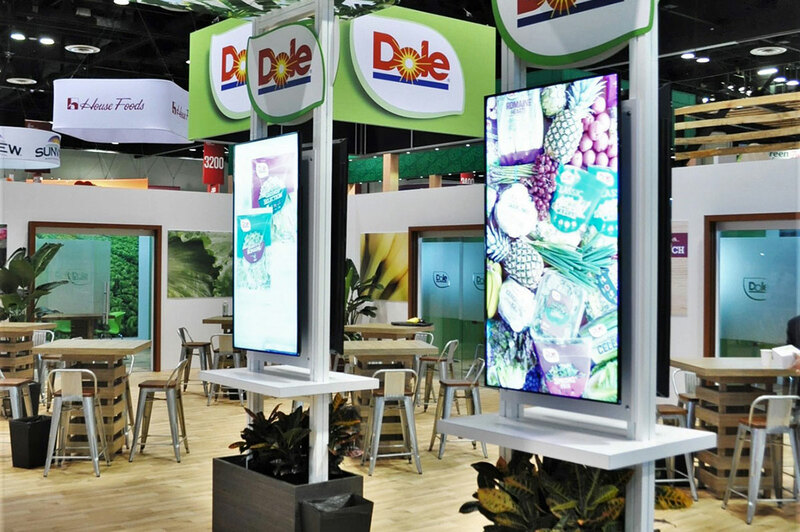 A central ID tower with fresh product sampling bars and three standing kiosks that double as video presentation areas and product display space were central to the design. 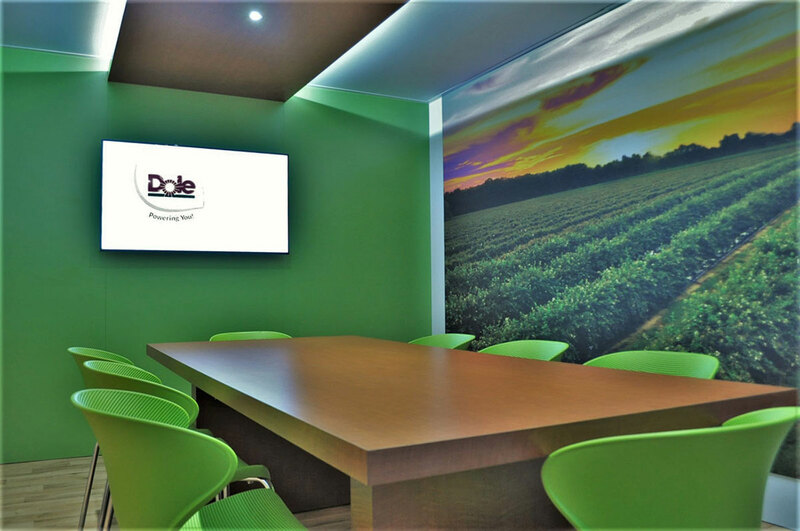 We included casual seating areas for attendees to gather and hold informal meetings. High-end and functional vinyl in flooring completed the look while insuring any food spills were an easy clean up. 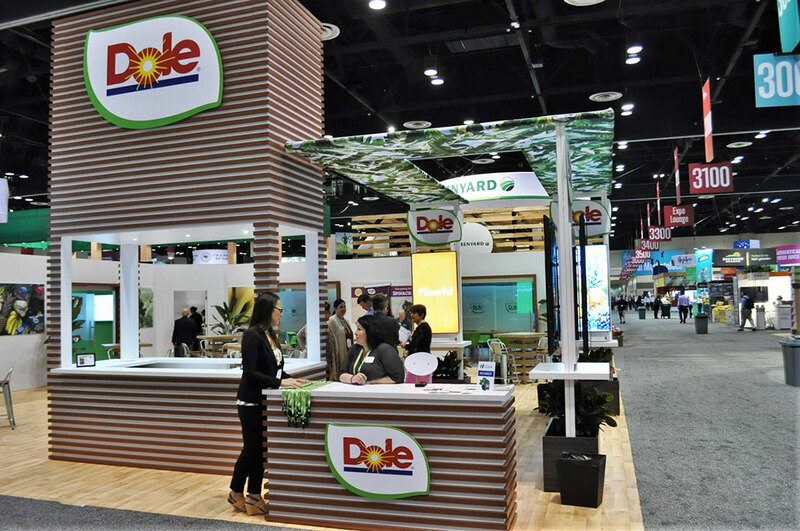 Strong brand ID was incorporated at all levels of the exhibit to take advantage of the iconic DOLE brand. 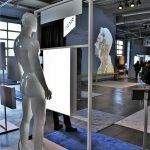 Branded Area brings together creative and functional solutions to the world’s best brands.